It’s that time of year again – when thousands of people flock to McCormick Place to visit one of Chicago’s biggest events and the nation’s largest car show, the Chicago Auto Show. Featuring over 1 million square feet of cars, trucks, test tracks and interactive displays, the Chicago Auto Show is an impressive display. The Chicago Lifestyle caught the Auto Show on Instagram video – click below to watch the spirit of the Auto Show. And don’t forget to visit before February 22! Searching for a pleasant and peaceful place to relax? Yearning for an escape from the busy city life? If your answer was “yes” to both of those questions, then the perfect place to be is the Chicago River. At 3400 N. Rockwell you can launch right into the river with a canoe and paddle in hand with Chicago River Canoe and Kayak! If you’re looking to ride the river by yourself it’ll just cost you $15 for an hour-long ride. Have a friend to go with? Then that’ll be just $20 for an hour. If you’re looking to go on a Wednesday through Friday the hours are from 1 – 6 p.m. If that doesn’t work for you then come out on a Saturday or Sunday from 9 – 5 p.m. to hit the river. There are also other river launches besides the one on Rockwell Street. You can also go to the lagoons in Winnetka and the Downtown (Chinatown) launch to see the skyscrapers from the river. 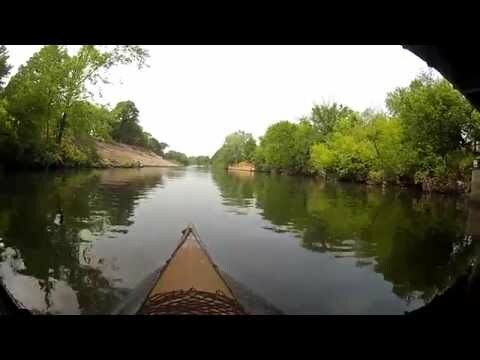 To hear more about this experience from a veteran river guide named Jon Ferrari from Lincoln Park and also see the canoe ride in action then watch the video above! Visit Chicago River Canoe and Kayak’s website http://chicagoriverpaddle.com/ for more information. Chicago Pride Parade: We Caught It All On Camera! The Chicago Lifestyle got colorful this weekend at the 2014 Chicago Pride Parade. Catch all the action here!